Probably most of you don't know about this, because I've never mention it on the blog, but I sometimes model on my spare time. This part time job feels more like a hobby to me, specially since it usually involves modeling in nice locations or events and meeting lots of new people while having a good time. I wanted to show you a couple of pictures that are now online at the Hong Kong Jockey Club's website. For those of you who are not from Hong Kong, the Hong Kong Jockey Club is the institution providing horse racing in town. Shooting for them was a lot of fun! 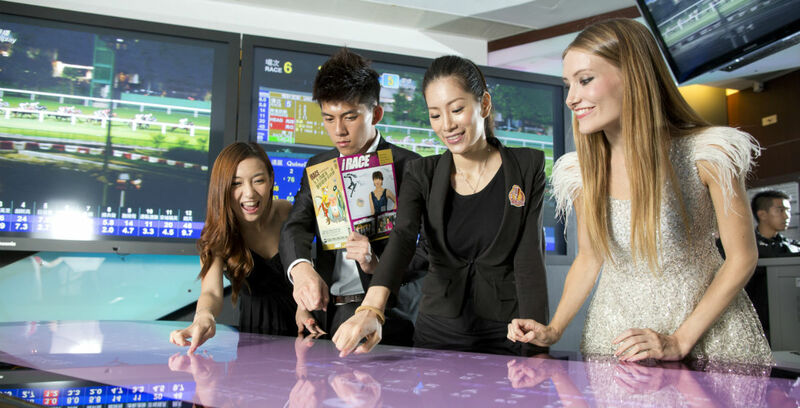 The photoshooting took place at Happy Valley, the racecourse in Hong Kong Island. We first took some pictures at the restaurant located on the 3rd floor, The Gallery, which specializes in Mediterranean cuisine. We were served lots of yummy food and drinks that we enjoyed while taking lifestyle pictures of the venue. We then moved on to the club, Adrenaline, where we learned how to gamble on the big electronic tables and sipped cocktails around the place. You can find the pictures online at Hong Kong Jockey Club's website here. Hello, we are new followers and we love your blog! ei! visit my blog and let me know wath you think! What fun... AND then you get paid... what a deal! BTW... thank you for your sweet comment on my blog the other day! Wow all you are really glam! Love the clothes in this post! I have just discovered your blog, love it! Thanks for your coment on my blog!!! !Love your pictures. You´re so pretty!!! Cute! Love that dress! Looks like fun :) Following now--thanks for finding me!